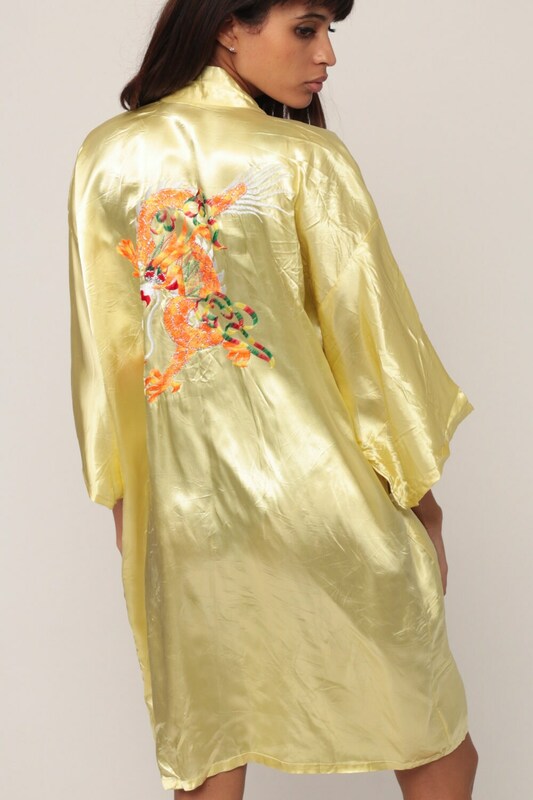 Vintage kimono robe in yellow satin with an embroidered dragon on the back. Wrap front. Condition: Very good vintage. Has a couple faint spots in the front by the center of the hem that should come out with cleaning. 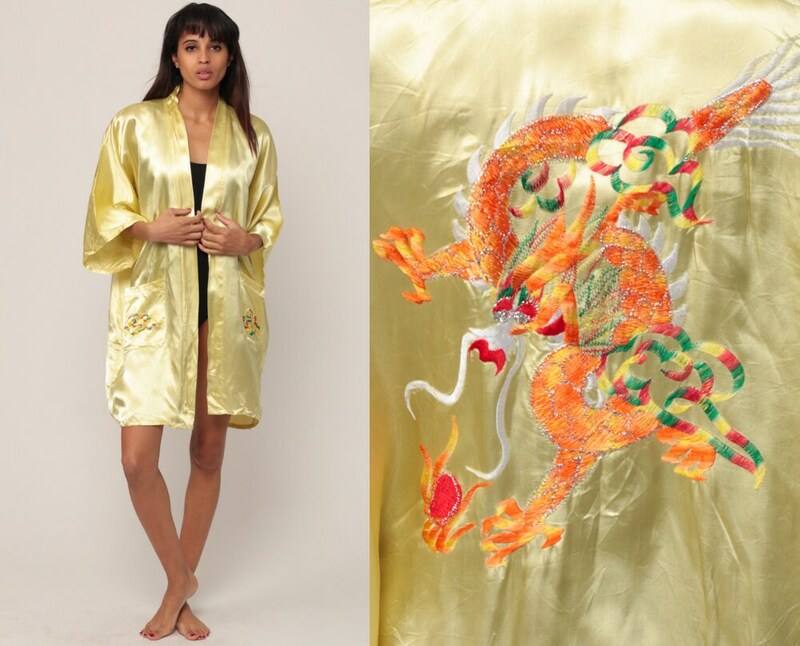 Material: Feels like Polyester satin.